Youth Refugee Simulation - Designer, Developer and Supervisor. Work began in Film, Video and Technology for Museum Interpretation class at University of the Arts and was put to reality in Hong Kong. Designed for high school students to build sets, write the script, stage manage and perform. 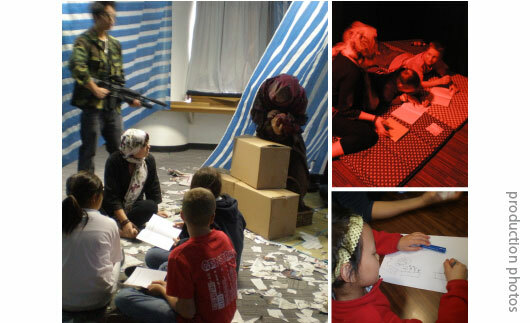 This experience simulates a refugee story for a 2nd grade audience. Students follow a refugee character through an African village and its destruction, a refugee camp, the escape to Hong Kong and eventual resettlement. Passport booklets teach the students the importance of legal identity and provide space to write reflections. Refugee Run Traveling Exhibition - Design Consultant. 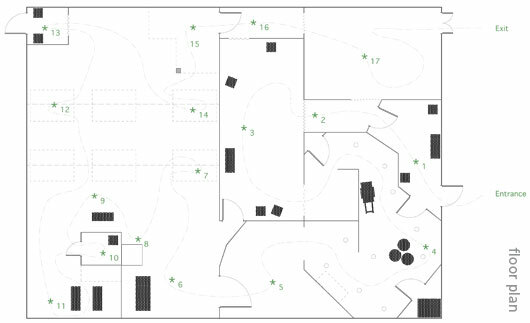 Vectorworks computer drafting. Close collaboration with Crossroads Foundation, Hong Kong. 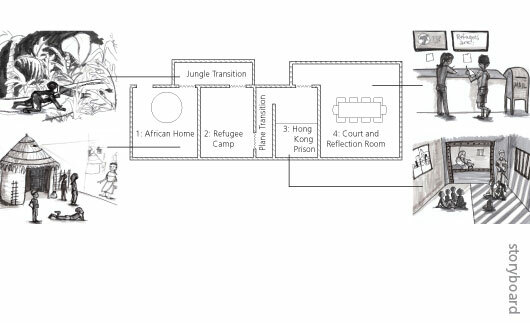 Floor plan outlining construction of traveling version of Crossroad's permanent Refugee Run simulation exhibition. Intended to be broken down into shipping containers and assembled in a tent. Accomodates group traffic flow, areas for actors and orientation/debriefing areas. Green line represents audience path and points of interest.